Join Staci as she talks about the Bible that is flowing with oil in Dalton, GA and how it fulfills a prophetic word that NOW is the time to receive the Holy Spirit and operate in full Kingdom Authority. Check out this episode! 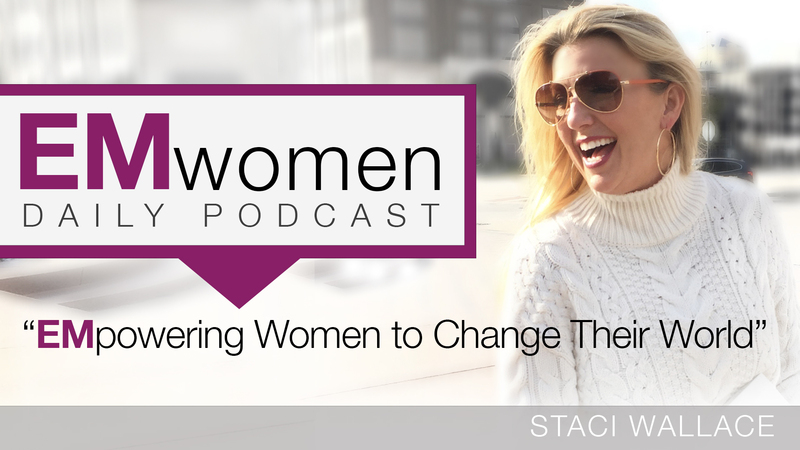 UNLEASHED – Wonder Woman Courage: Join us as we continue our Podcast series, UNLEASHED AND ANOINTED FOR BUSINESS. Learn how to release the power of the Holy Spirit in the areas of influence God has called you to impact! Check out this episode! UNLEASHED – Marketplace Mavericks: Join us as we continue our Podcast series, UNLEASHED AND ANOINTED FOR BUSINESS. Learn how to release the power of the Holy Spirit in the areas of influence God has called you to impact! Check out this episode! UNLEASHED – Marketplace Revival: Join us as we continue our Podcast series, UNLEASHED AND ANOINTED FOR BUSINESS. Learn how to release the power of the Holy Spirit in the areas of influence God has called you to impact! Check out this episode! UNLEASHED – CEO Mindset: Join us as we continue our Podcast series, UNLEASHED AND ANOINTED FOR BUSINESS. Learn how to release the power of the Holy Spirit in the areas of influence God has called you to impact! Check out this episode! UNLEASHED – Kingdom Mentality: Join us as we continue our Podcast series, UNLEASHED AND ANOINTED FOR BUSINESS. Learn how to release the power of the Holy Spirit in the areas of influence God has called you to impact! Check out this episode! UNLEASHED – Kings, Priests, and Prophets: Join us as we continue our Podcast series, UNLEASHED AND ANOINTED FOR BUSINESS. Learn how to release the power of the Holy Spirit in the areas of influence God has called you to impact! Check out this episode! UNLEASHED – Kingdom Purpose: Join us as we continue our Podcast series, UNLEASHED AND ANOINTED FOR BUSINESS. Learn how to release the power of the Holy Spirit in the areas of influence God has called you to impact! Check out this episode! UNLEASHED – Dominion in the Marketplace: Join us as we continue our Podcast series, UNLEASHED AND ANOINTED FOR BUSINESS. Learn how to release the power of the Holy Spirit in the areas of influence God has called you to impact! Check out this episode! UNLEASHED – The Hustle: Join us as we continue our Podcast series, UNLEASHED AND ANOINTED FOR BUSINESS. Learn how to release the power of the Holy Spirit in the areas of influence God has called you to impact! Check out this episode!